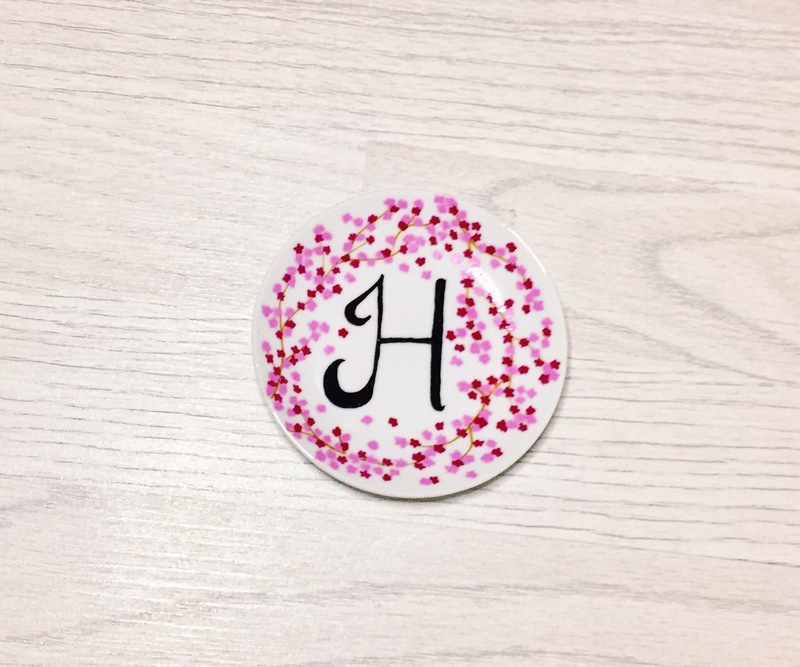 Pretty Personalised Painted Dish- Collab with Womanish Affairs! Today I shall be talking all about this pretty little dish that I recently got from Womanish Affairs﻿! This is a small business run by a fellow blogger, Sabah and all of her products are absolutely beautiful! Disclaimer: I received a discount on this item in exchange for this post. Now first of all can I just say, wow! I love this little dish! It is so pretty and it’s gonna look just perfect in the background of my flatlays! 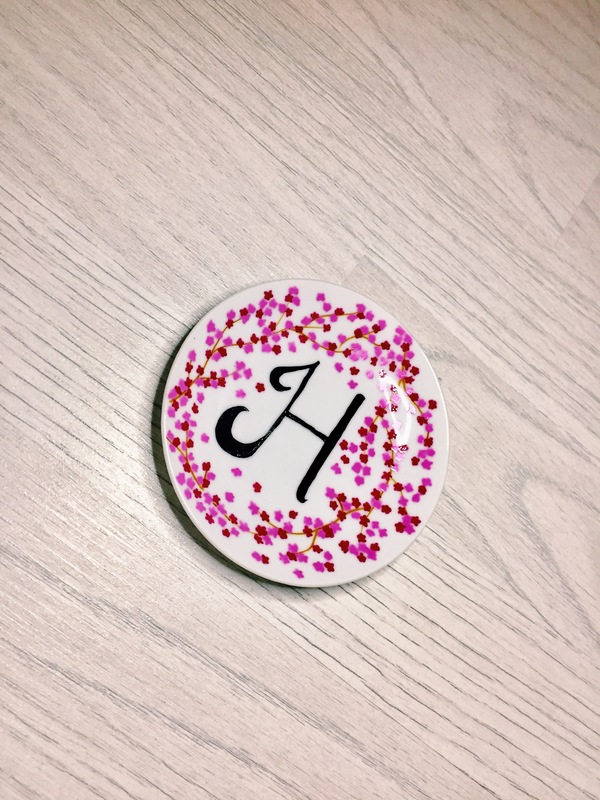 The pretty pink blossom design is exactly what I asked for, and the H is so bold and beautiful! I just love it! 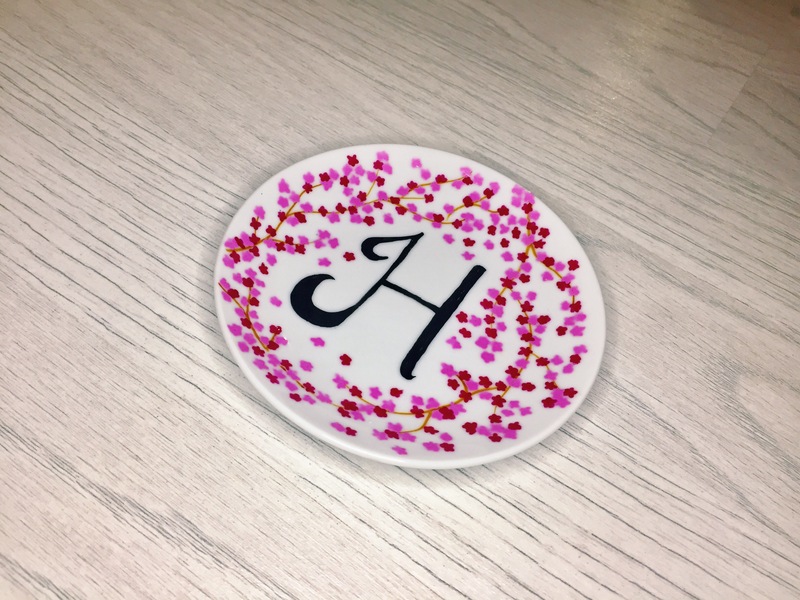 And, because these dishes are hand painted and can be personalised, you get to pick whatever design/ personalisation you like, so it is completely tailored to you! I am so happy with this purchase and I would definitely buy more, these would make great gifts! Womanish Affairs now ships worldwide and there is currently 10% off items so grab them whilst you can! Hope you enjoyed today’s post, and I hope you enjoy browsing Womanish Affairs. It was a pleasure working with you and I loved every minute of creating this dish for you. The pictures came out so good. I’m so happy you liked your dish. It was a pleasure working with you too. You’re so talented! I can’t believe this is hand painted, it’s so so cute and such high quality! Sabah is super talented! I look forward to seeing this little beauty in lots of your flatlays! That’s really pretty – I love handmade goodies, support the local businesses as much as possible! Next Post Would You Rather Beauty Tag!